Plans for one of Apple’s largest stores to be built at Melbourne's landmark Federation Square continue to gather pace, despite it being considered for a heritage listing. Federation Square management has moved to demolish the Yarra building, submitting an application in an attempt to push through the construction of the Foster and Partners-designed flagship Apple store. The heritage impact statement, which was created by Urbis on behalf of Federation Square, argues that the Yarra building is not of the same design standard as others in Federation Square precinct. The document plays down the cultural significance of the existing Yarra building, originally known as the “South Commercial Building ” , claiming a new Apple store would be more conventional in composition and fit within the context of its potential neighbours the National Gallery of Victoria, ACMI and KHT. The permit application, which is currently on exhibition for public comment, argues that a new Apple retail store would align with the original “commercial use ” of the Yarra building site. “The reduced footprint of the proposed new Apple store will provide additional public gathering space, over 500sq m, to the Square and an important amphitheatre event space,” the report stated. 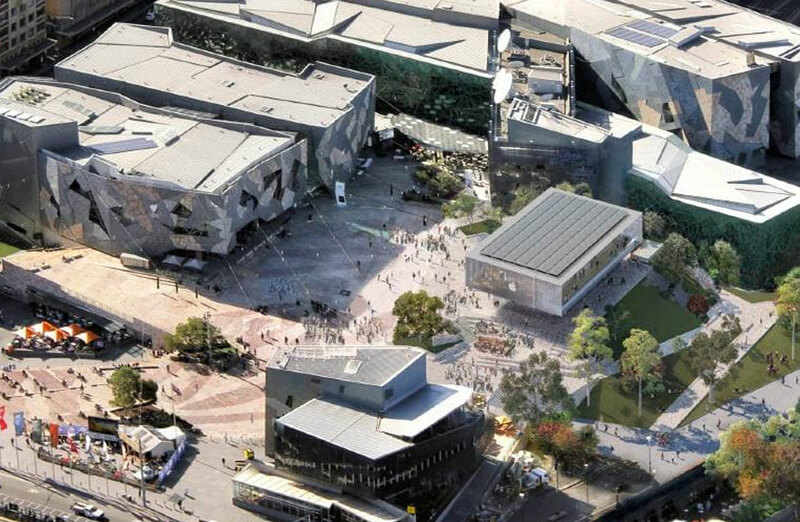 The permit application, currently on exhibition for public comment, follows an interim protection order placed on Federation Square by the executive director of Heritage Victoria. 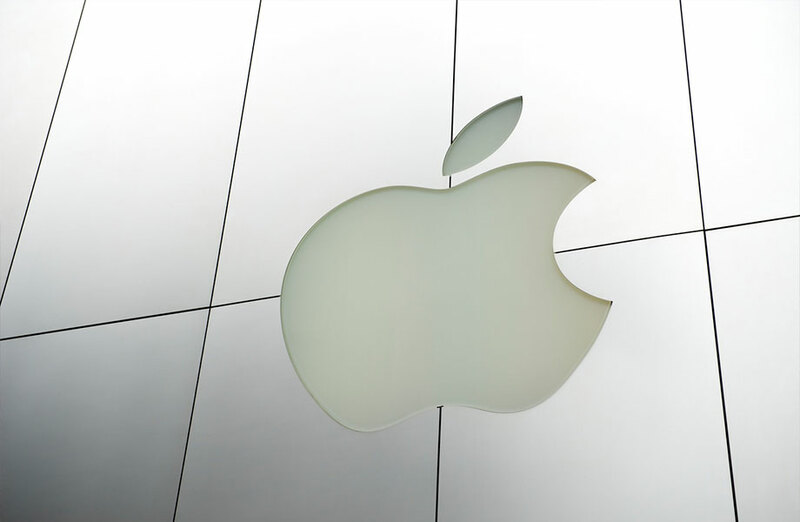 Apple's plans for a new flagship store were approved by Premier Daniel Andrews in 2017. The original plans were heavily criticised for a lack of public consultation and dubbed by some as a “Pizza Hut pagoda ”, before being redesigned mid-2018. In a move to protect the landmark, the National Trust pushed for the heritage protection mid-2018, with Heritage Victoria soon after recommending Federation Square be added to the heritage register. National Trust of Australia chief executive Simon Ambrose said that while the National Trust did not oppose commercial activation at Federation Square, future development should not be at the expense of the unnecessary destruction of the Yarra Building. “The National Trust has concerns that this proposal is being rushed through before the heritage registration is resolved and ahead of preparing a masterplan or conservation management plan to guide change,” Ambrose said. While potential heritage status would not rule out the Apple store entirely, stricter requirements and a more comprehensive planning processes would be emplaced as well as more inclusive community consultation. The National Trust will now make a submission to Heritage Victoria regarding Apple’s proposed plans and “strongly encourage the community to make their own submissions” before Wednesday 13 February. The Heritage Council of Victoria has also planned hearings for 14 April to assist in its assessment of heritage status for the square, while a registration hearing will take place from the 15 to 17 April.